We’re Foundation Repair Contractors That Service Slab, Pier and Beam Foundations. Need Dallas foundation repair contractors? Fort Worth, Arlington or DFW metroplex professionals? 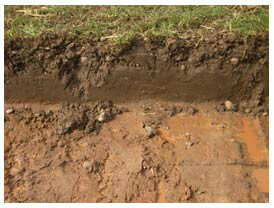 Contact HD Foundations. We’re residential contractors that repair slab and pier and beam structures correctly. Our company does light commercial work, too. If you live in Arlington, Fort Worth or Dallas and want to know how foundation repair contractors make repairs, ask HD Foundations. We install pressed concrete foundation piers and steel piers in all areas of the metroplex. Why Choose HD Residential Foundation Repair Contractors? Because residential foundation service performed by HD Foundations makes your concrete slab or pier and beam foundation level. We lift houses 1″, 2″ 3″ or more. We’re contractors who know how to property restore cracked concrete slab foundations and pier and beam houses. We fix foundations constructed in the 40’s, 50’s, 60’s and even earlier. Our company provides answers to foundation problems. You might wish to review questions to ask a foundation repair contractor in Arlington, Dallas, Fort Worth or other parts of the metroplex. Effective house leveling sometimes involves crawl space repair. We replace rotten wooden beams, joists and sill plates correctly. Re-shims are also performed. HD eliminates foundation drainage issues by installing efficient drainage systems. Our price for fixing pier and beam structures is reasonable. So are HD’s foundation repair contractor costs for servicing slab foundations. Experience counts when it comes to Dallas foundation repair contractors. It’s the same with Fort Worth and Arlington expe rts. 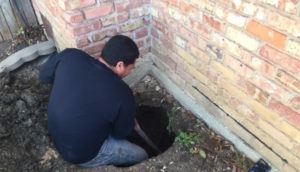 HD Foundations has been making repairs in Tarrant County, Dallas County, Collin, Ellis, Johnson and other counties for years. We’re a Better Business Bureau-affiliated company with a A+ rating for commercial and residential service. 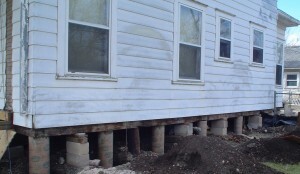 If your home or other property has foundation issues, call HD Foundations. Get a lifetime foundation warranty on your slab or pier and beam foundation. We’ll make it “Texas Solid. Texas Strong.” If you’re anywhere in the DFW metroplex, including Arlington, Dallas, Fort Worth, foundation repair contractor estimates can be scheduled free online today. Or, if you prefer, please just phone us.